Please be sure to include your information so we can thank you for your generosity. Our dogs always appreciate some tasty treats at the rescue - and anyone who has ever owned a German Shepherd will agree that this is one picky breed. Below we listed the types of treats they love. (they seem to dislike dry bisquits) These are just some examples but many can be found at Costco (click HERE) There are many other places such as Chewy (click HERE). Or Amazon (click HERE) or any other places you shop for doggie goodies. MADE IN USA ONLY! NO RAWHIDES! We're always in need of more leashes for our dogs. 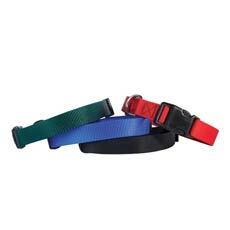 Get a good deal on the type of leashes we use. 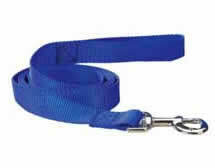 Click here to go to the 'leash page'. We need the 6x1 leashes please. 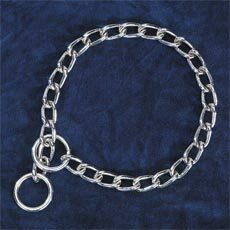 We never seem to have enough choke chains. Click here ... to get a good deal! As with leashes, we can never have enough collars. Click here to go to the 'collar page'. ALWAYS need good quality canned food. Above we list a few good quality brands (Natural Balance, Blue, Innova) but we appreciate all the canned food we can get. We need food for our dogs. They go through 100 pounds of kibble (dry dog food) a day. 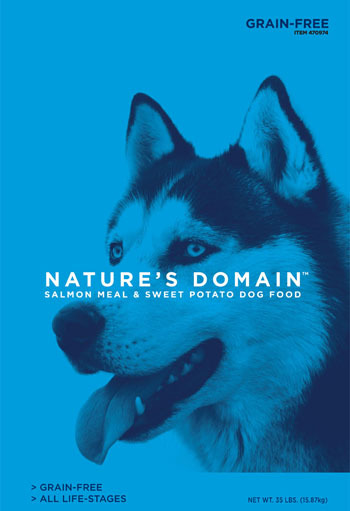 Nature's Domain (sold exclusively at Costco) is good quality food for a great price. We are trying this new brand to eliminate grains from the dogs' food - which is better for them. We would also love Costco Gift Card so we can pick up the food, frozen chicken (for our sick dogs) etc ourselves.